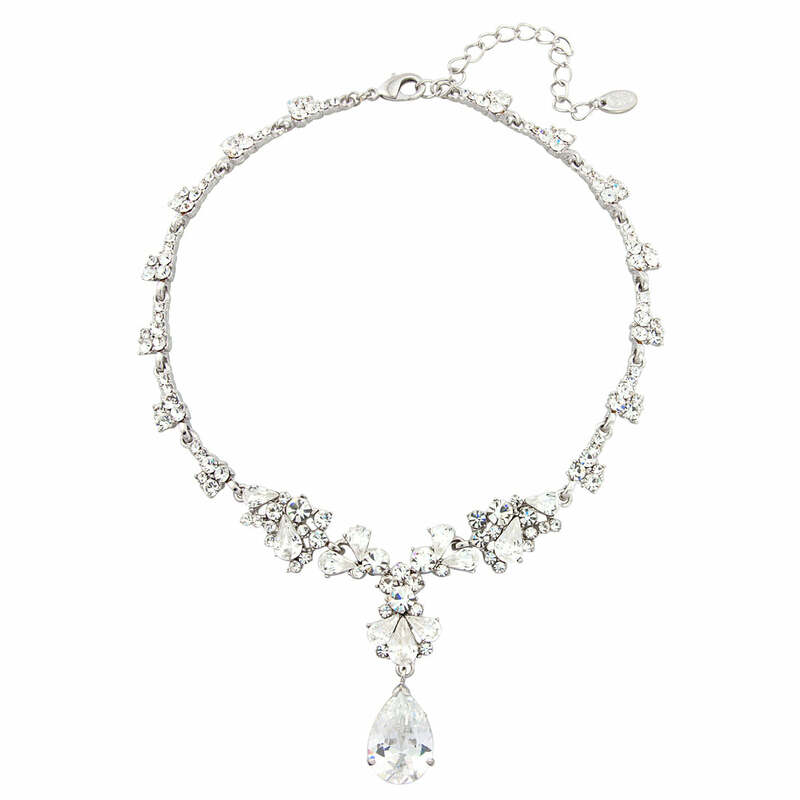 A statement crystal necklace which is captures the glamour of 1940s Hollywood. Inspired by the classic glamour of jewellery worn by the 1940s Silver Screen Starlets, this sparkling silver tone Y necklace is sensational. Featuring a clustered crystal centre with a fan of pear cut crystals leading to a dramatic pear cut drop, this oozes Hollywood glamour. The perfect 'piece' for every occasion which calls for a touch of timeless style - accessorize an evening gown by teaming with coordinating Precious Heiress Earrings or wear alone with a simple V- neck sweater for a dinner date. 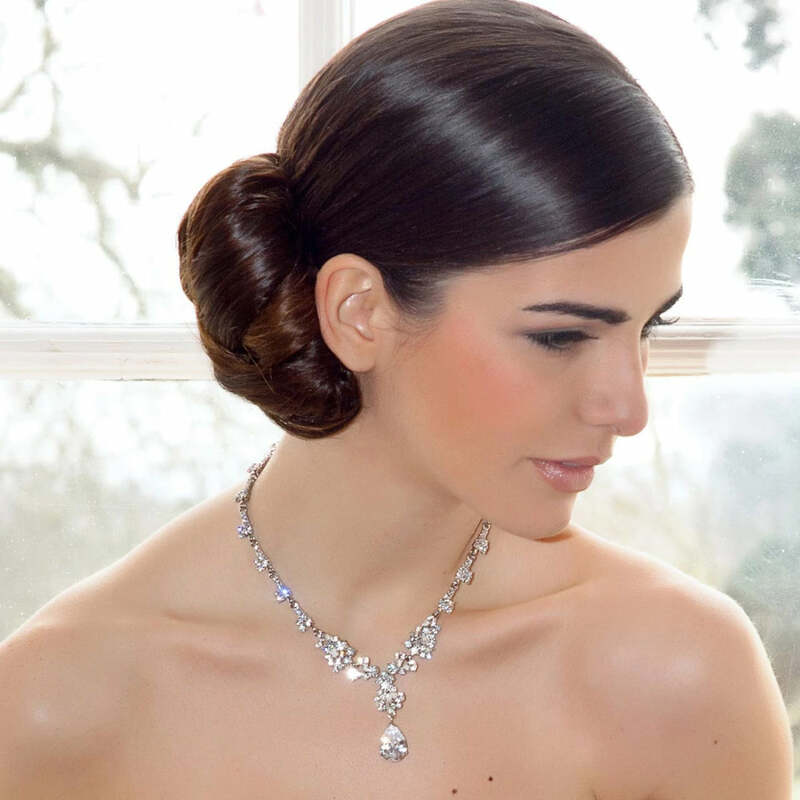 An exquisite wedding necklace for brides who adore vintage costume jewellery from the 1940s era, this will compliment an antique inspired bridal gown to perfection and look divine coordinated with a statement headpiece. I have ordered this necklace to wear for my wedding. It is amazing, so sparkly and very elegant. I can't wait to wear this on my big day. Lovely necklace, very sparkly, can't wait to wear it. I received my necklace with matching earrings and have too say I am even more impressed and can not wait too wear on my wedding day in July they are exactly what I wanted will be ordering gifts for my bridal party too! and comes in lovely packaging too! Stunning necklace! So pretty and very well wrapped in tissue paper and the box.